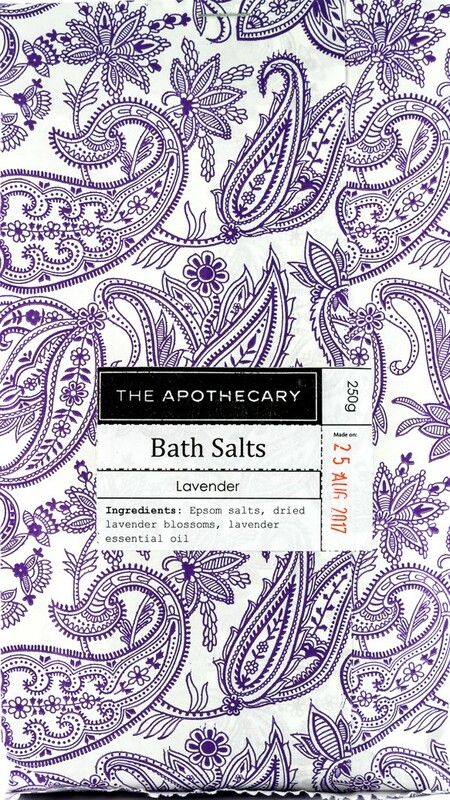 A selection of luxuriant bath salts for a truly indulgent bathing experience. 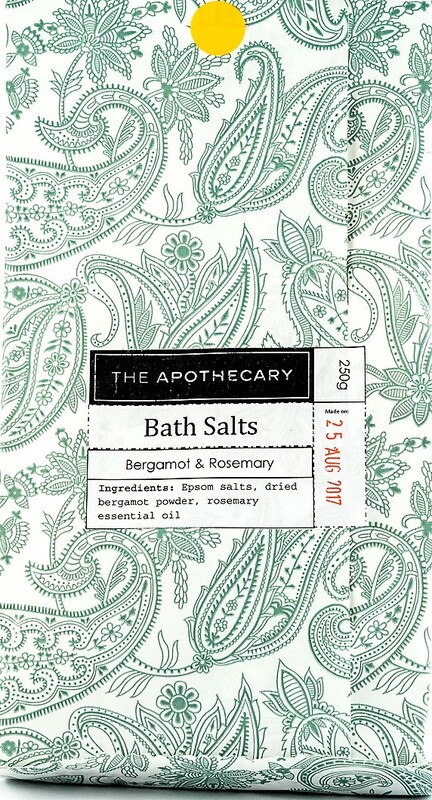 The salts are based on detoxifying, soothing Epsom salts and feature therapeutic essential oils and dried petals or herbs. Pour liberally into a warm to hot bath. Soak for at least 15 minutes to calm the mind, soothe muscles and cleanse & soften the skin. Use a spoonful or more for a bath. The perfect pick-me-up after a hot and tiring day, this blend cools and revives mind and body. Peppermint clears away the cobwebs and soothes tired muscles to leave you cool, calm and collected. Seaweed, sea vegetables and grasses supply a host of detoxifying and healing nutrients. 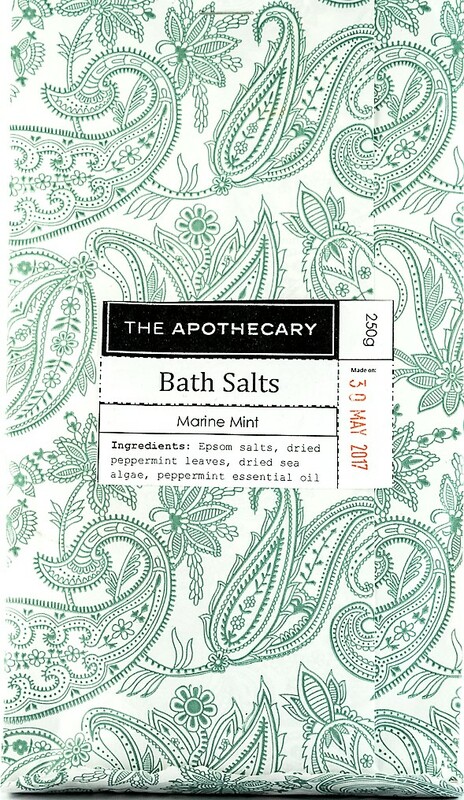 Pour a spoonful or more into a warm to hot bath. Soak for as long as desired. The classic herb for a relaxing soak before bedtime, lavender calms the mind, cleanses and heals, and helps induce sleep. It soothes away pain, tension and anxiety and is a balm for both mental and physical irritations. Pamper and soothe mind and body, and delight the senses with this indulgent blend. 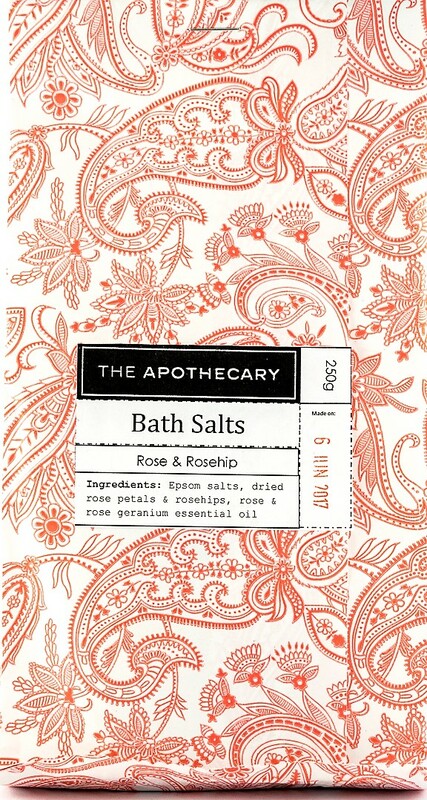 Based on detoxifying, soothing Epsom salts and featuring home grown dried Heritage rose petals and the delicate fragrance of rose and rose geranium. The fresh, sweet perfume of bergamot uplifts and relaxes and is renowned to lift the mood, relax the body and protect the skin. Rosemary clarifies and tones. An excellent detoxifying soak to restore both body and mind.